The Inquiry Design Model (IDM) is a new approach to teaching social studies in the K-12 space. The Research Foundation at SUNY Binghamton partnered with Walk West to deliver a world-class editing experience to aid teachers across the country in publishing their own lesson plans. The Inquiry Design Model uses inquisitive and compelling questions as the key to delivering a lesson plan centered on critical thinking. Each inquiry starts the same way – with a question meant to provoke thought and without a predetermined conclusion. “Was the French Revolution successful?” is a model compelling question. Criteria for answering that question are varied according to the sources a student would use. These lesson plans are long and complex. 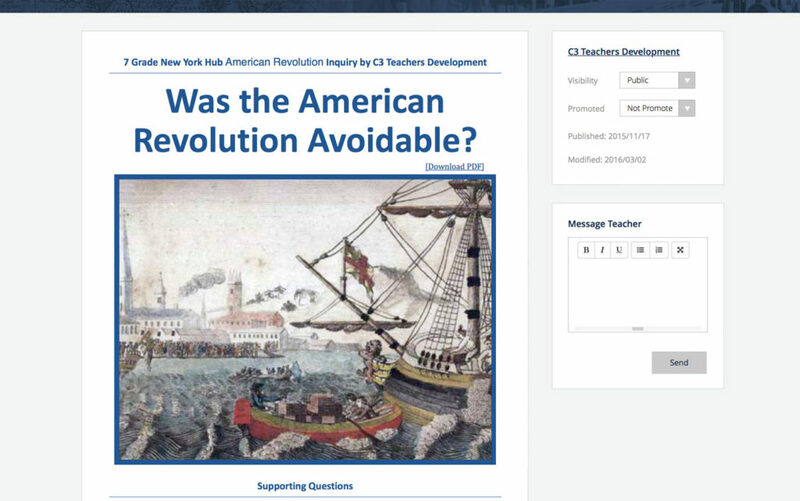 Teachers across the United States are already incorporating elements of the Inquiry Design Model using a Word Document template that was published by C3 Teachers. However, editing a 30-page document with universal style guides is cumbersome and difficult for the end user. The result is also as varied as an answer to a compelling question. After our first meeting they went right to work, but not in ways that we expected. Walk West designed and developed a content management platform to make data input and lesson plan creation around the Inquiry Design Model easy, efficient… and fun. 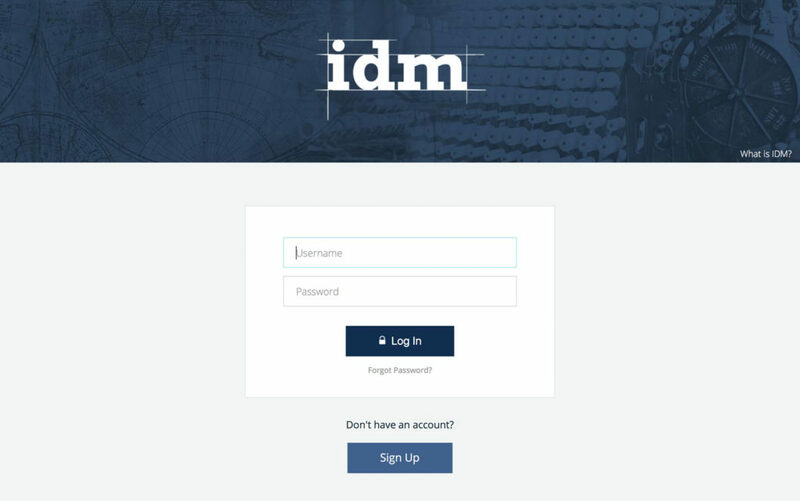 Now in deployment, IDM has generated over ____ signups and _____ IDM-based lesson plans for K-12 teachers across the United States. Walk West’s creativity is really the hallmark of their work. They have the capacity to see solutions in new ways, creative ways, in ways others are not able to envision. We worked with O3 Creative on two distinct projects and we had very aggressive timelines for both. They not only met our timeline, but exceeded our expectations delivering products ahead of schedule. Given the size and magnitude of the functions and features of the Inquiry Generator, it was critically important that we documented each step and performed proper user acceptance testing. We were able to test using high fidelity wireframes that mimicked our proposed process flow without spending resources on creative. These wireframes started on a whiteboard, transferred to paper, and finally produced in a digital format for distribution among stakeholders for feedback and acceptance. After several rounds of revisions, we came up with a formula that was quick and efficient at solving the end goal: acceptance by teachers across the nation. Creating an Inquiry from scratch is time consuming and involves a lot of moving pieces. Our auto-saving, guided process takes some of the pain out of the creation process to ensure that teachers can do what they do best instead of worrying about simple formatting. We made the process as collaborative as process inviting users to save their sources to be freely used by other teachers. Sources are the most time consuming part of creating an Inquiry and, with widespread use, could make it as painless as possible. Teachers are invited to create assignments based on their Inquiries. A template can be created around an Inquiry that can be used and reused across semesters and school years. 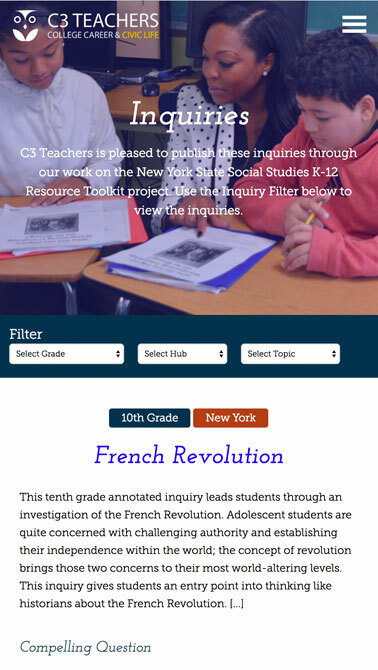 The assignments are electronically sent to students who then can complete the work by referencing in-class discussion and dialogue connecting the loop between Inquiry generation and student work. Keeping expertly published inquiries nested inside the IDM infrastructure without outside visibility defeats the purpose of what IDM is supposed to be – a community of teachers all learning from each other in how to present complex topics in a way that their students will understand and retain. 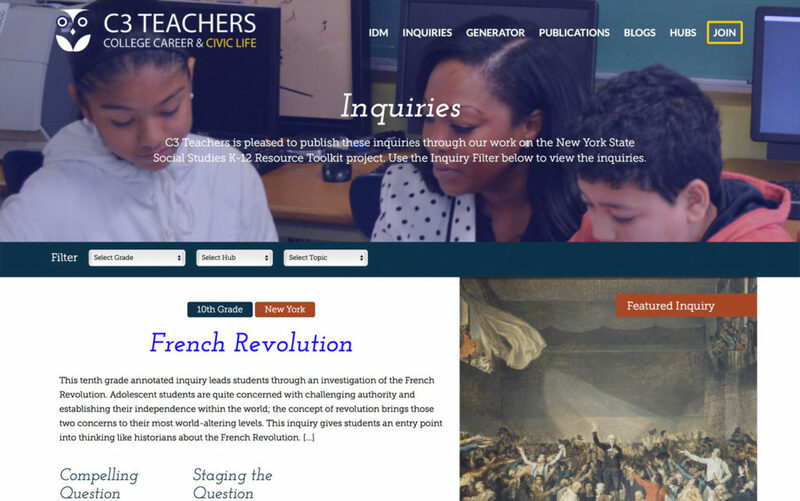 We built the C3Teachers.org website from scratch with a prominent holding place for Inquiries that are selected by administrators to feature and showcase on the public website.